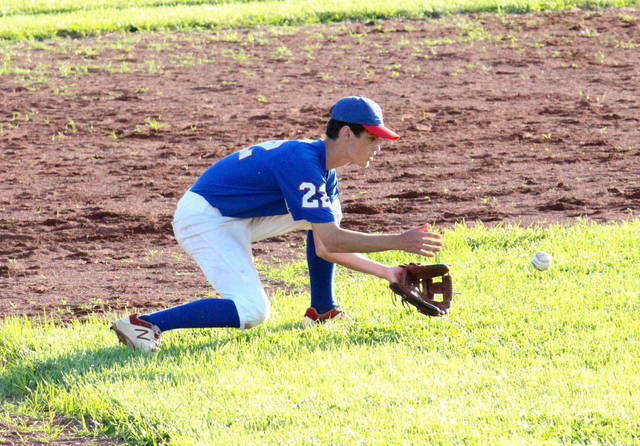 Tyler Tillis slides safely into third base, during the Rangers’ 12-4 victory on Thursday in Rocksprings, Ohio. ROCKSPRINGS, Ohio — The Rangers are rolling. 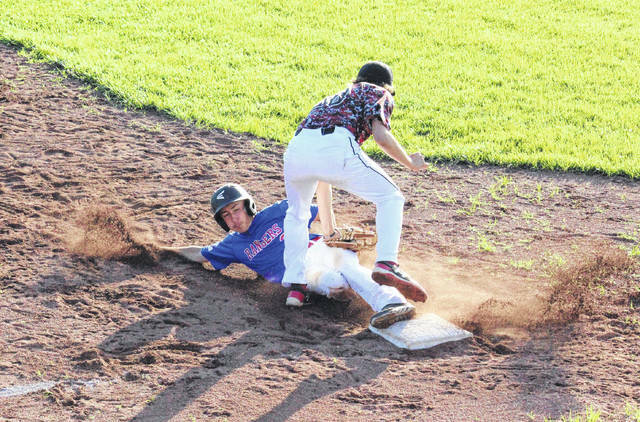 The Post 39 baseball team won its fourth game in five chances on Thursday at Meigs High School, as the Rangers picked up a 12-4 victory over visiting Nitro. The guests took a 1-0 lead after an error in the top of the first inning, but the Rangers got the run back in the bottom of the frame, as Gage Shuler scored after a pair of errors. The Wildcats reestablished their lead thanks in part to a pair of errors in the top of the, and Nitro extended its advantage to 4-1 in the top of the third. The hosts tied the game at four in the bottom of the fourth, with Dalton Kearns, Briar Wolfe and Coltin Parker each coming around to score. The Rangers took their first lead of the game with no outs in the bottom of the fifth, when Cam Bayha scored. 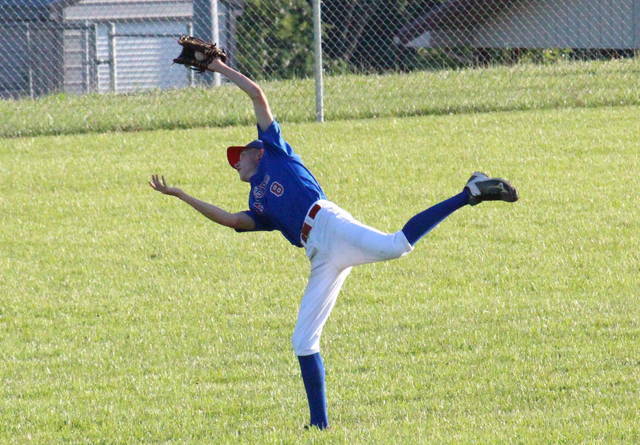 Shuler, Tyler Tillis and Wesley Smith also scored in the fourth, as Post 39 stretched its lead to 8-4. The Rangers got an insurance run in the following frame, when Antonio Serevicz singled and then scored on an error. After a scoreless seventh frame, Cole Arnott, Ben Wolfe and Cooper Peters each came home in the bottom of the eighth, sealing the 12-4 victory. Smith was the winning pitcher of record in 1⅓ innings for Post 39, striking out two batters and walking two, while surrendering one hit. Kearns started on the hill and pitched 2⅔ innings, allowing four runs on three hits and three walks, while striking out four. Briar Wolfe pitched two scoreless, hitless innings of relief, walking one and striking out one, while Arnott pitched one scoreless, hitless inning, issuing one free pass in the process. Six Wildcats combined to pitch eight frames, allowing 12 runs, 11 hits and five walks, while striking out three. 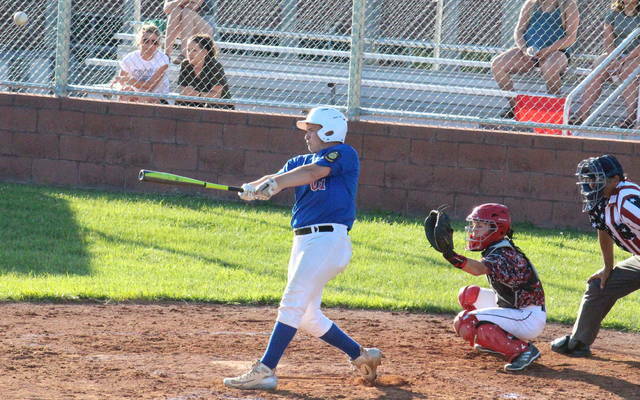 Leading Post 39 at the plate, Parker was 2-for-4 with a double and a run scored, Serevicz was 2-for-3 with a run, while Shuler singled once and scored twice. Smith, Kearns, Peters, Bayha, Tillis and Briar Wolfe each singled once and scored once, while Arnott and Ben Wolfe added a run apiece. Post 39 left nine runners on base, while Nitro stranded six. 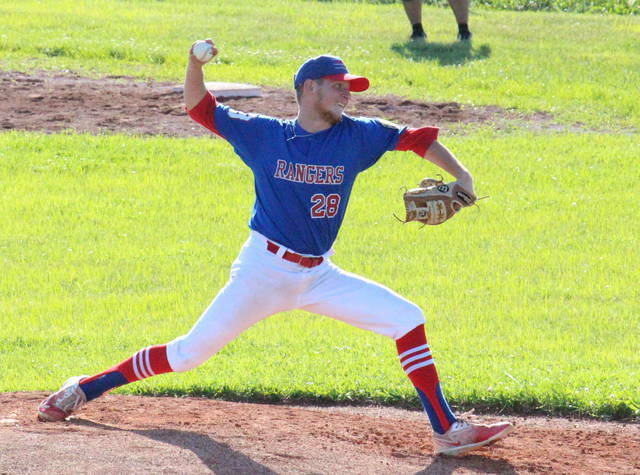 After hosting the Athens junior legion team on Saturday, the Rangers will be back on their home field against Athens’ senior legion team on Tuesday.